This is the 9th instalment in a series of 10 articles where we attempt to categorise chronologically and thematically the list of things you will need to start your architecture practice, and furnish it with the glimpses of insight we’ve accrued during the first three years of our architecture practice, Mihaly Slocombe. Almost every aspect of your architecture practice, from the quality of your designs, to your marketing strategies, to your financial management, can benefit from your involvement in the right communities. By this we do not only mean the people who live next door, but your cultural and professional communities too. In other words, other architects, designers and the institutions that support them: collectively these people are a ready-made source of advice, assistance and feedback. The types of communities in which you might take part can be roughly divided into five categories: design, business, marketing, culture and tribal. To make the most use of these, be prepared to juggle the full breadth of media the world has to offer, from online forums and social media, to international awards programmes and local lecture series. You will need to spend plenty of time in front of your computer screen, but just as much time getting out to actually meet people. You will know you have chosen the right communities when you find they keep overlapping. The truth in this was neatly displayed when we attended the Presentations to Juries a month or so ago: shuffling from room to room with us were people whom we follow on Twitter, with whom we share blog discussions, attend lectures and seminars, present at design talks, studied and worked. Design communities are those that allow you to present your design work and review the work of others. If all that happens once a project is presented is a round of applause, you are not participating in a design community. Reciprocity is essential to the success of these communities, as is the willingness of their participants to be critical about one another’s ideas. Given architects’ reluctance to subject themselves to negative criticism, even constructively offered, they are very hard to come by. We suggest you start one yourself, perhaps with friends from university whose journeys into architecture practice parallel your own. Every couple of weeks we catch up with one or two friends over lunch to discuss design and practice in a loose but longstanding arrangement affectionately referred to as the Round Table. We entered the Flinders Street Station Design Competition together and, we must confess, could do better in heeding our own advice by presenting our work to one another more often. Design communities cost whatever you’re having for lunch. Business communities are those that help you get better at any of the myriad skills and processes you need to keep your architecture practice afloat, from big picture things like time management and fee negotiation, to detail things like filing systems and contact lists. 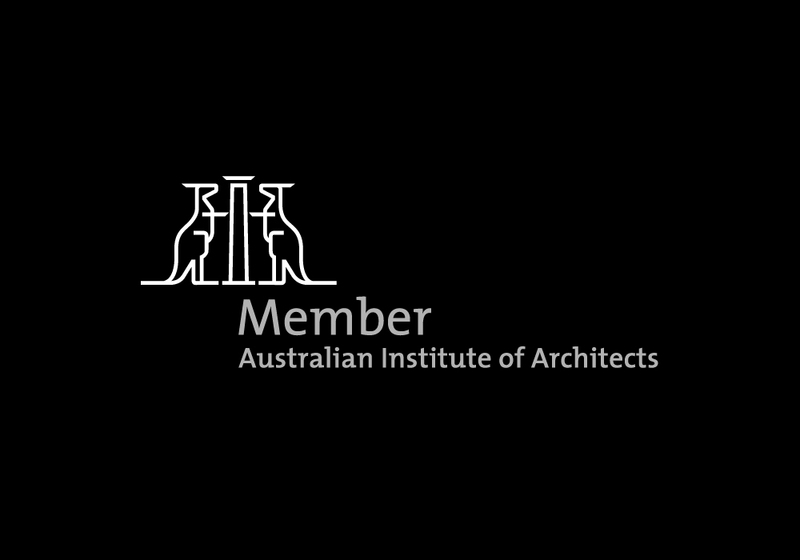 We take part in the Australian Institute of Architects‘ Small Practice Forum, a group of 30 or so architects that meets every two months to discuss subjects like marketing, fees, office manuals and, most recently, cloud computing. The Institute also runs plenty of continuing professional development events that are well worth attending: the oddly named but business-savvy Blue Turtle Management and Consulting (BTMC) have presented a few such events, one of which we discussed here. The cost of Institute membership varies and is generally hefty (we pay around $1,000 a year), however we feel its value is priceless. Marketing communities are immensely abundant, require a huge amount of time to maintain and rarely pave the way for new projects. We say rarely, because every now and then they do, which will render every hour spent previously worthwhile. Houzz is an interesting tool that allows designers to upload photos of their work (1,000,000 so far an counting) to an indexed and searchable database that other people selectively add to ideas albums. It is also a useful way to have clients give you a summary of their tastes and design interests. New Architects is a series of casual design presentations run every couple of months with a strong emphasis on young designers. A website is on its way, however invitation is currently by email list or word of mouth only. Various agencies around the world, including Houses Magazine, Design Institute of Australia and Australian Timber Design Awards here, and World Architecture News and Architectural Review overseas, all hold annual awards programmes for both speculative and built work. There are many, many others. Finally, 70% of Australians own the houses they live in: the more you connect with your neighbours and local community, the more likely you are that you will get work from them. Houzz and New Architects are both free to join, though most awards programmes will cost $200 – $400 per entry. Cultural communities will not necessarily win you new projects nor allow you the opportunity to present your work to the world at large, but they will increase your appreciation of good design and generally nurture your soul. Melbourne is blessed with a large number of organisations that foster such communities, including the Robin Boyd Foundation (RBF), Parlour, Melbourne Open House (MOH) and C + A. Each has its own dedicated focus: modernist architecture for RBF; women in architecture for Parlour; public open days for MOH; and concrete for C + A. All run lecture and seminar programmes, publish journals and offer access to some of Melbourne’s best architecture both past and present. The cost of events varies, from nothing in the case of MOH’s annual open day to $65 for Parlour’s upcoming Transform workshop. Finally, tribal communities are those you start yourself. They are generally online, often emanate from a blog or Twitter feed, and focus on one issue or interest area. They are not necessarily central to the architecture work you do, but revolve around it or are related to it. There are two important qualities of the tribal community: first, you are its chief; and second, you are its chief because you have been talking about its interest area before anyone else was. To paraphrase Texan artist, Austin Kleon, to whom we have paid tribute here, if everyone is talking about apples while you’re interested in oranges, you should start talking about oranges anyway. Eventually, when the rest of the world catches on to how great oranges are, you will be an established orange guru and natural chief. Participating in any or all of these communities will grow what we have come to call your cultural capital i.e. the value you have to the culture around you. As your presence in awards programmes, forums, lecture series, blogs and design organisations grows, so too will your cultural capital. This capital will not necessarily win you projects and will certainly not turn you into a starchitect overnight. However, if you enjoy your communities without thought to future stardom, you will find your capital grows of its own accord, a development that we believe can only have a positive impact on your future design career.